Are you or will you become a British expatriate living in France? Do you own property in France? Both France and the UK impose an inheritance tax, but which country will tax you? Worldwide assets belonging to French residents (including real estate located outside France) passing by way of lifetime gift or death are subject to tax in France. Usually, the worldwide estates of UK domiciles are subject to UK inheritance tax and only the UK assets of non-UK domiciles are subject to UK inheritance tax. 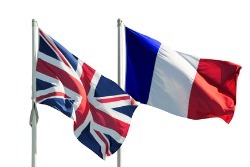 However, under the tax treaty on death taxes between the UK and France, long-term French residents are deemed to be domiciled in France for UK inheritance tax purposes and thus are only liable to UK tax on their UK–sited assets. So, where you are French resident when you die but have UK assets, tax is due in both countries, but under the terms of the tax treaty, credit is given in France for any tax paid in the UK, so you do not actually have to pay tax twice. You will have to pay the higher liability in whichever country it arises, though. If you make a gift, however, the tax treaty does not apply and therefore any lifetime gift made will only drop out of the UK inheritance tax net if you survive for seven years from the date of the gift. If you are a French resident and have been so for at least six out of the previous 10 years, when you receive an inheritance or gift it is taxable in France. This applies even if you receive the gift from someone who is not resident in France and/or the asset/s in question are not located in France. However, if you receive an inheritance of non-French assets from a UK domicile, it will have been subject to UK inheritance tax and under the Double Tax Treaty, the inheritance is not liable to French succession tax as well, even if you have been living in France for more than six years. This relief does not apply to gifts, though! Again, double tax credit relief is available if the asset (e.g. a French property) is taxable in both countries. If you own property and other assets in France, they will be subject to French succession tax when you die, even if you are not a French resident. They will also form part of your estate for UK inheritance tax purposes but your heirs will be entitled to a credit of the French tax paid on the asset to avoid double taxation. Since this is a complex issue, you should seek personal advice regarding French succession tax and its interaction with IHT, particularly if you wish to minimise your liabilities, or, more likely, the liabilities of your inheritors! The tax rates, scope and reliefs may change. Any statements concerning taxation are based upon our understanding of current taxation laws and practices that are subject to change. 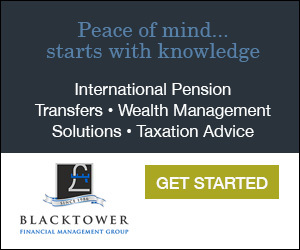 Tax information has been summarised; an individual must take personalised advice.